MA DOT has advised that the Mitchell River Bridge will be closed to vehicular and pedestrian travel beginning Monday, April 8, 2019 to allow for repairs resulting from timber swelling which affect bridge operation. The closure is expected to last until May 26, 2019. The Bridge will be in the closed position affecting larger vessels utilizing Mitchell River. 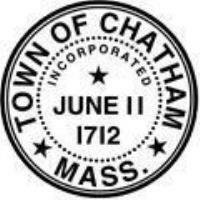 Access for larger vessels will be contingent upon 48-hour notice to the Chatham Harbormaster. The channel will remain open for smaller vessels to transit Mitchell River with appropriate caution. SPS New England, Contractor, will begin mobilizing the week of April 1st with installation of detour signage, message boards, etc. The east side of Chatham, including the east end of Bridge St., will be accessed via Main St. and Stage Harbor Road will provide access to the west side of Bridge St. and point west.